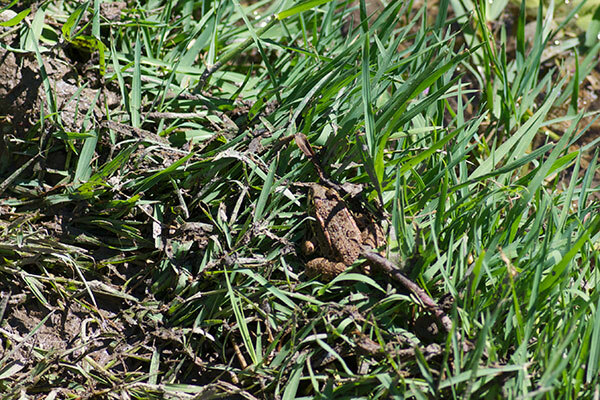 This frog was nestled in the long grass next to a small stream just outside of Ancient Olympia. In the ten minutes of herping time I had before I was due back on the tour bus, I saw five or six others splash into the water. This is the only one I saw before it jumped. Pelophylax epeiroticus, a very similar-looking species, also lives in the general area, but according to krismunk on fieldherpforum.com, this one is likely to be P. kurtmuelleri based on the specific location. Thanks krismunk!